With a carefully crafted campaign strategy and a finely-tuned approach to analyzing survey results, NPS is more than “just a vanity metric”. If you’re in the camp that’s grown tired of hearing about NPS scores and are ready for a metric that can provide a deeper look at customer demographics while also predicting retention rates, then I’ve got good news – there’s a great tool available for that! There’s just one hitch – it’s actually NPS. 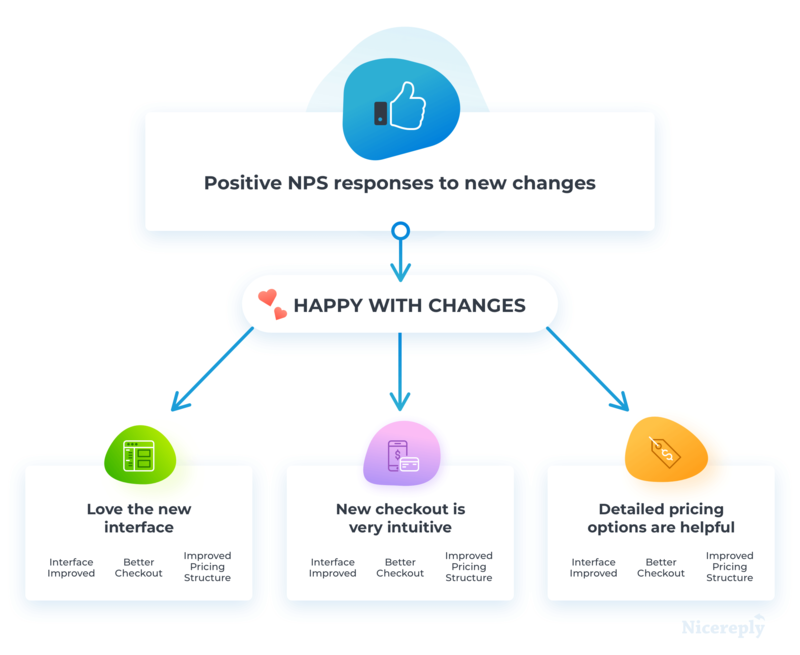 That’s right – the same NPS that has often been labeled as a vanity metric due to the way it reduces customer feedback to a single score, which is often (over)used for promotional purposes, with seemingly little connection to actual product or service success. In fact, although NPS is easy to set up and use, it can be an impactful tool for deeper demographic analysis. That’s just one of the reasons that some companies have started to expand their use of NPS outside of basic customer sentiment analysis, from testing market fit to gathering interest from investors and more. With the right approach, even the most basic NPS survey can provide a wealth of data that, when mined for deeper insights, reveals detailed information about how your customers feel about your brand, and whether they are likely to stay loyal in the future. 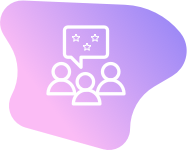 The key to gathering deeper value from your NPS results lies in verbatim analysis – careful review of the explanations for the actual NPS score posted in the open text portion of the survey. Because NPS automatically classifies customers, it may seem as if the verbatim responses are just bonus material. But there are highly valuable insights bundled in these comments, and a robust verbatim analysis strategy can help you get the most from your NPS data. Consider the verbatim question itself – what’s your goal in asking this question? The basic “why did you choose this score?” option will certainly offer insights, but varying the question can open paths to other data points. For example, asking “what product or feature would you like to see us work on next?” might tell you what Promoters would love to see improved while also highlighting areas that are responsible for many of your Detractor scores. However you choose to phrase the question, you’ll want a clear method for cataloging and breaking down results, and coding (or tagging) verbatim comments is the first step in that process. It’s worth taking the time to develop a clear coding hierarchy, particularly if you’ll be coding responses manually. While you don’t want to go overboard, you’ll find it pays to take time to build a hierarchy of categories and subcategories to parse out the data points more effectively. Here, using subcategories can help you quickly determine whether Promoters are more impressed with the interface or the pricing structure. Once you’ve built up a bank of coded verbatim feedback responses, you can move on to identify trends based on those codes. This approach can point the way to root causes of your scores, highlighting the primary issues that cause Detractors to leave low scores while also shedding light on more specific reasons why Promoters are so happy with your brand. Depending on the response rate and the frequency of your NPS campaigns, you may want to wait until you have a sizeable grouping of coded responses before reviewing for trends. It may help to experiment with the frequency of your surveys to achieve an optimal response rate – some companies check NPS across a wide band of customers once or twice a year, while others check in with segments of their customer base more frequently, or base their NPS campaigns around a specific product or feature change. Keep in mind that comparing additional campaigns will likely smooth out any spikes or dips in data points while surfacing longer-lasting trends. For example, sending an NPS survey shortly after announcing a pricing structure for a popular subscription level will likely reflect a dip in positive sentiment, so it’s important to survey again to compare whether that trend sustains over time or levels off. While verbatim analysis is a handy approach to using NPS data to identify trends and match shifts in sentiment over time, you can boost the impact of this data by combining it with sales profiles, specifically focusing on Customer Lifetime Value (CLV or CLTV). Segmenting classes into categories based on CLV can prevent your company from overspending resources on nurturing low-value Promoters while high-value Passives or Detractors churn out. It’s also important to have a clear plan for how quickly you can follow up with any targeted demographic. Using a product that allows for quick follow up with any individual respondent can make the difference between retaining a customer or seeing them churn out. Obviously, your current Promoters are very happy with your brand and are spreading their enthusiasm. Great! But customer sentiment can shift very rapidly, and today’s Promoter can quickly slip to being a Detractor in a heartbeat. By identifying the most influential Promoters, you’ll have to prepare to focus your outreach and nurture this group by offering perks, rewards, or other opportunities that are important for them. Because this particular segment is already primed to sing your brand’s praises, focused outreach can pay dividends by giving them further incentives to enthuse about your brand to even larger segments of their own audience. You also need to pay close attention to Passives as well. While some customers in the Passive class may just be occasional customers with few specific thoughts about your brand, that’s also a signal that they will be quick to switch brands when something else catches their attention. Verbatim analysis can help you uncover trends among pivotal Passives before they slip to Detractor status or simply churn out, giving you the opportunity to offer plans or service changes that will add value for this group. And of course, don’t forget about Detractors – seriously! It’s important to reach out promptly to high-value Detractors and show them how seriously you are taking their feedback. Remember, these are customers who cared enough to give you specific information about why they’re unhappy, which is also a sign that they often really want your brand to work for them. They may actually have the most valuable feedback of all. If just one or two high-value detractors respond to your outreach and works with you to solve a pain point rather than churning out, it’s a fair bet that these changes will also help you retain other customers who are equally frustrated. It’s true that the simple nature of NPS surveys means the data they gather can be limited, which has led some to look elsewhere for more in-depth data points, particularly around customer demographics. But with a carefully crafted campaign strategy and a finely-tuned approach to analyzing survey results, NPS is more than “just a vanity metric”. It’s an important tool for identifying impactful customer segments, building models of trends in customer sentiment in high-impact demographics, and planning outreach efforts to boost loyalty among high-value customer segments. Nicereply blog to a friend or colleague? Josh Magsam is a freelance writer and consultant specializing in customer experience, operations management, and team leadership. When he’s not building support teams or writing content, he enjoys hiking in the Cascades with his wife and young son.